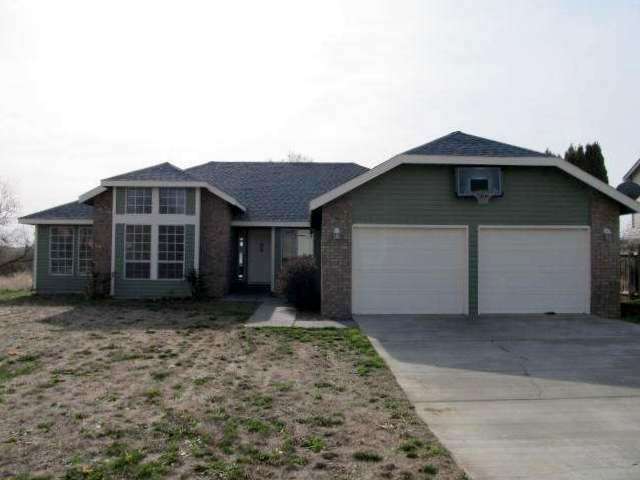 Many people have asked us about the foreclosure at 229 Center Blvd in South Richland. It’s a 4 bedroom, 2 bath, 2028 sq ft house in Willowbrook. It’s been empty for quite some time, and has just become available for purchase through the HUD program for $182,000. This is a fantastic deal for the neighborhood! The home and yard need a little TLC. Repairs are estimated to be $4202.00. We’d be happy to take you inside if you’d like to see it. HUD homes can be a great deal, but there are a few qualifications, and you need to be ready at short notice. If you qualify, we can help you submit a bid. Current bids are exclusively for owner occupant, nonprofit, or government agency bidders (bids open up to investors after 30 days). Bidders must be pre-qualified. This is a step beyond the typical pre-approval. You can get a pre-qualification letter from your lender after they verify your employment, assets, income, credit reports, etc. Obtain $1000 earnest money (must be Cashier Check or U.S. Postal Money Order). Submit offer by April 29th, 11:59 p.m. CST. We need all paperwork from you by the 28th. Overbidding–if you’re using FHA financing, the loan amount cannot exceed the list price. If you’re using a conventional loan or opt to pay the difference in cash, you may overbid the property (within your lender’s approval). Loan info–eligible for FHA 203(k) loan. Repair Escrow is $4202.00 (buyer’s responsibility to pay for repairs to the property). The money is held in escrow until the the required repairs are completed (within 90 days). At the end of the offer period, HUD will generally accept the highest bid. Click here: 229 Center Blvd for more pictures and information direct from the MLS listing. Ckick here: Dept of Housing & Urban Development for more information on buying a HUD home. If you have questions about this house or any other properties, we’d be happy to answer them. For loan questions, we’ll refer you to a loan officer who can answer your questions and get you started on pre-qualification. If you aren’t interested in this property, but want to be ready to jump on a similar opportunity in the future, we’ll get you started–just give us a call!